The North Central Texas Public Works Emergency Response Team (PWERT) was created to provide public works assistance when an emergency or disaster overwhelms local resources. The response team was created by and for local governments and operates on a voluntary quid pro quo basis. 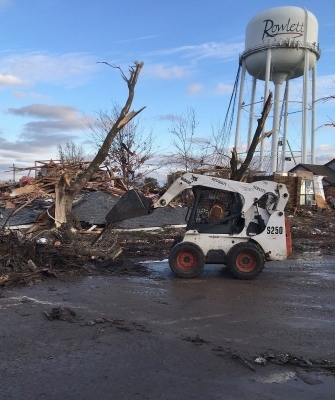 PWERT first deployed in answer to calls for assistance during the April 3, 2012 tornado outbreak and continues to grow to meet regional needs. The PWERT Mutual Aid Agreement, required to be approved by local city councils or county commissioners prior to membership, is available below.